Let your guests catch a drink at the bar when you give them Football Red Drink Tickets at your sports event. 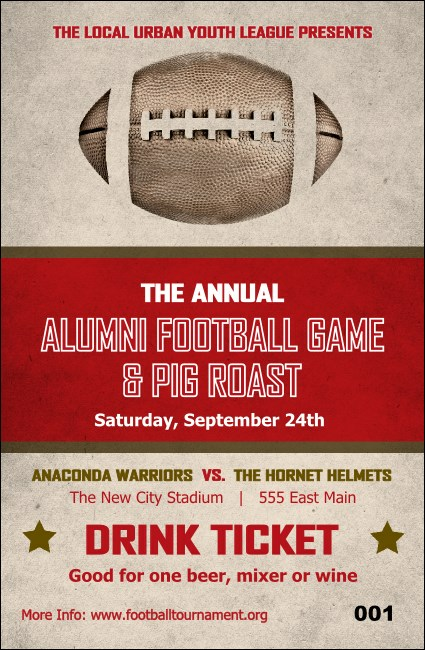 These classic tickets feature a cool throwback theme that includes a bright red stripe over a gray background, and each ticket template has sequential numbering for increased event security. Find the right ticket to tackle your event at TicketPrinting.com.